Exactly one year ago in Uzbekistan, a theatrical but rather false staging played under the title "Our president is alive and well." 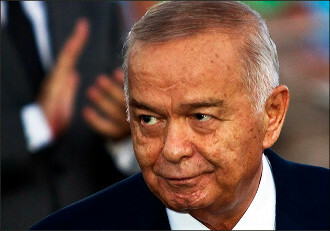 According to Fergana sources, the death of 78-year-old Islam Karimov from a stroke sustained two days earlier came on the day of 29 August 2016. Two days later, the official media assured that Karimov accepts congratulations on the Independence Day. His condition was still "stable" on 31 August 2016. On the first day of September, probably, the whole world knew that Karimov had passed away: Turkey expressed its condolences, the presidents of several neighbouring countries flew to Samarkand urgently, where the body of the deceased arrived. But an emergency evening news release made 2 September the official date of Karimov's death. However, it is not so important what day Karimov died on. 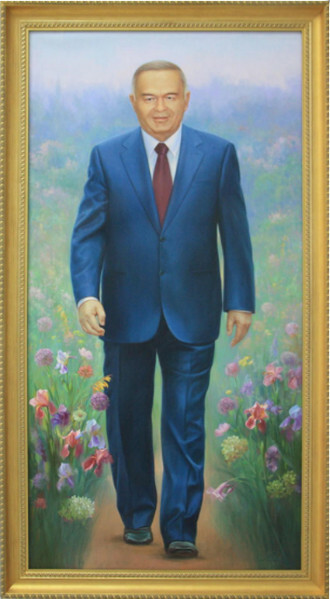 The important thing is what is his legacy today in Uzbekistan. Finally, who is Islam Karimov? A great ruler or state criminal? A wise politician or an egoist ignoring someone else's opinion? A reformer or tyrant who strangled all the opportunities for economic growth of the country? I'm afraid that the official ideology in Uzbekistan does not yet provide a clear answer to this question. On the one hand, the new leadership does not debunk the course of the former leader of the country. Nobody publicly criticises the deceased president. Moreover: eulogies honour Islam Karimov which only a great statesman could be worthy of. An endless stream of voluntarily inconsolable subjects mourning an irreparable loss pours to the grave of Karimov - almost to the place of rest of the new Muslim "saint" in the heart of historical Samarkand. In Tashkent, there is an exhibition of photographs and paintings with portraits of Karimov, on which he appears as a primitive, but a bright man full of strength and intentions. And if even a departed from life, then - fallen into paradise. "Tastefully" selected archival photographs, and monuments hastily assembled by artists loyal to the government - all this is designed to preserve the most positive image of Islam Karimov in the minds of the people. However, this image does not correspond in any way to historical truth. The truth is that Islam Karimov has brought the country almost to a standstill. And to get out of it, the new leadership will have to virtually erase all of Karimov's "great legacy." And this - on the other hand. For the whole last year, it is what Shavkat Mirziyoyev has been dealing with - the erasing of Karimov's real heritage. Moreover, it is not only and not so much about the redistribution of property: of course, in Tashkent officials and trustees change, but this is not the main thing. Mirziyoyev, if he wants to pull the country out of the pit, is forced to think about changing the state economic model, reviewing the incompetent Karimov's strategy of administrative management. But to achieve some results, Shavkat Mirziyoyev should not only scold subordinates who worked with him for a long time during his stay as prime minister under Karimov. We should not talk about some abstract "thieves' system of the past," but rather call a particular culprit of many and many events and processes in the country that have the most negative consequences. Talk about all the features of the character and actions of Islam Karimov. From his biological rejection of a market economy - to an irreconcilable struggle with the political opposition. From the long-term usurpation of power and the violation of human rights - until the bloody execution in Andijan. Simply put, the "Karimov's heritage" is worthy not of monuments and formal portraits, but of serious public discussion, impartial analysis, open trial and a harsh historical sentence for all the crimes of the first dictator of independent Uzbekistan. To prevent the appearance of the second in the future.